Time to start putting together a drone. Thanks James for dropping off some parts! Not a proper SuperHouseTV episode: just another in my irregular series of vlog posts about day to day life in the SuperHouse. Yet another shield for the D1 Mini! I laid out a bunch of them in a burst of sudden enthusiasm, so there are even more to come after this. This is a simple shield outline designed to be used as a project skeleton for whatever you want to design. All the details are at www.superhouse.tv/d1msho. 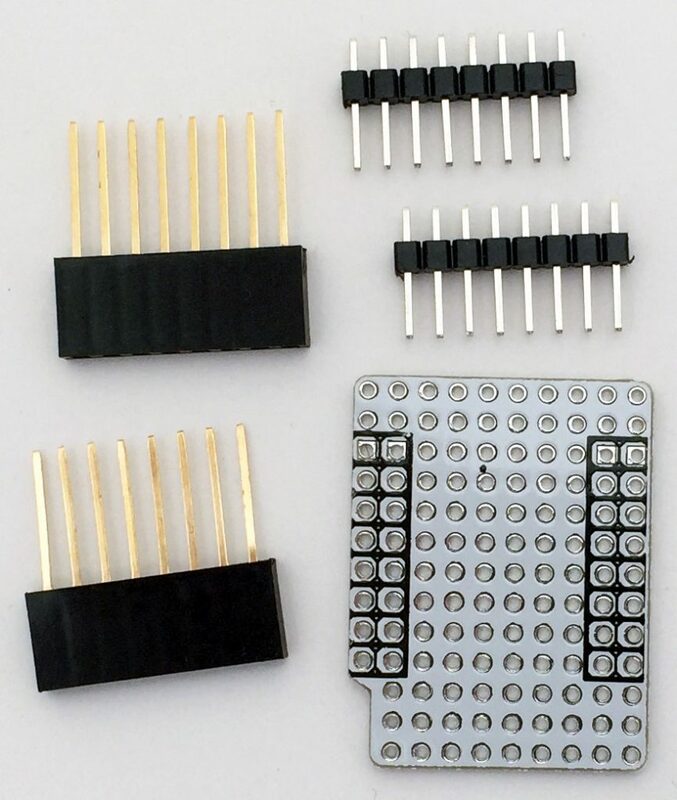 A very simple shield for the WeMos D1 Mini: the only thing that stops it being a simple grid of holes is that it has breakouts for the headers, and it includes the orientation notch to align it with the reset button on the Mini. The permanent page for it is at www.superhouse.tv/d1mproto. The WeMos D1 Mini is a fantastic little development board based on the ESP8266 microcontroller with WiFi. 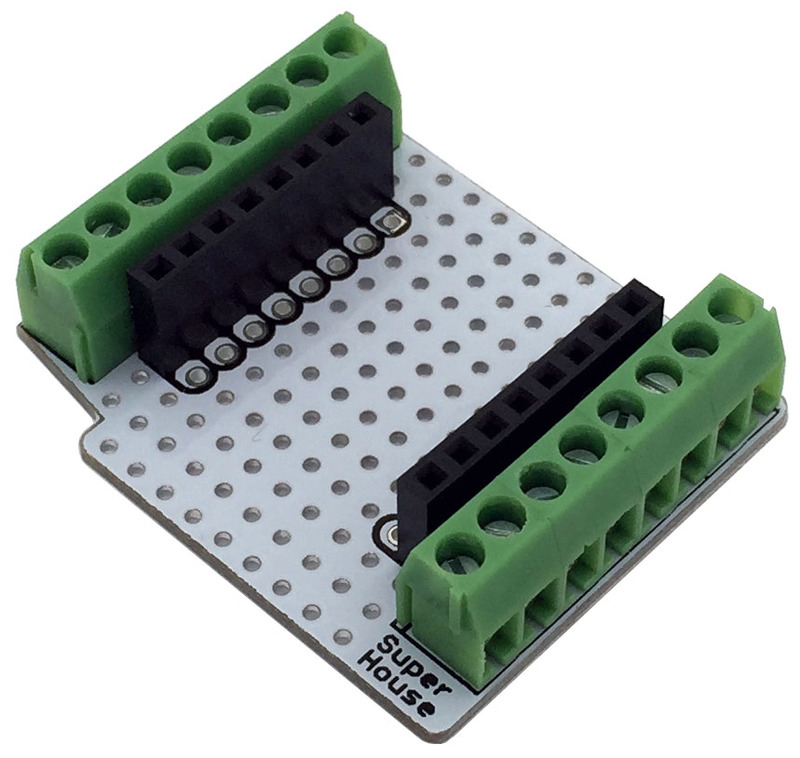 It’s super cheap, and there’s even support for it now in the Arduino IDE so you can program it easily. 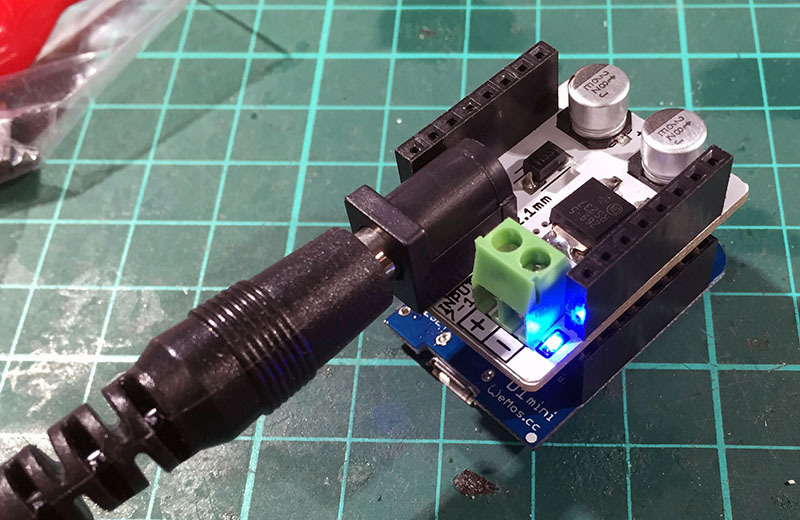 If you haven’t seen it before, check it out on the WeMos site. One limitation is that it needs 5V USB power to run, which is a pain if you want to build it into a project that doesn’t have USB power easily available. 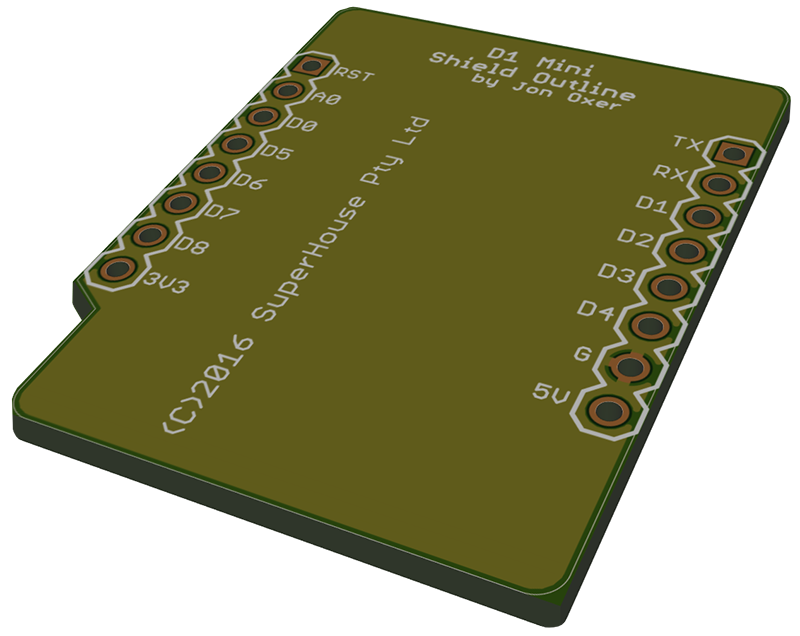 I designed this shield to give the D1 Mini the ability to accept power from 7 to 14Vdc (up to 20Vdc in a pinch) via a 2.1mm DC jack or screw terminals. I hope to turn this into a product soon: I just need some more parts to arrive. There’s a page for it now at www.superhouse.tv/d1mpower.